GHYP is focusing on mental health and awareness in 2019. Good physical health and wellness are essential to having good mental health, so we are putting a healthy twist on our usual monthly networking event! Join us at West Michigan Nutrition on February 26, where we will be able to try their delicious products, learn more about the business, and network with the staff and other professionals in the area! 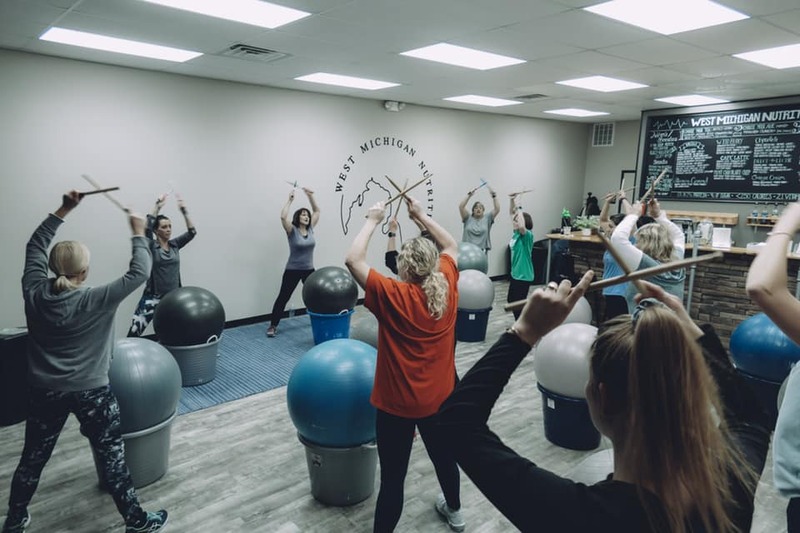 Following this portion of the evening, the staff at West Michigan Nutrition will be hosting a FREE cardio drumming class for us (up to 20 people). So, grab a friend or co-worker, bring some workout clothes (or come wearing them!) and learn more about living a healthy lifestyle, both physically and mentally. 5-6pm: Meet & Greet/networking, shake, tea and aloe combos available for half off! Anyone that checks in on Facebook or Instagram at this event will be entered to win a prize! RSVP via our FaceBook event page (click "going") or email us at info@grandhavenyp.com.